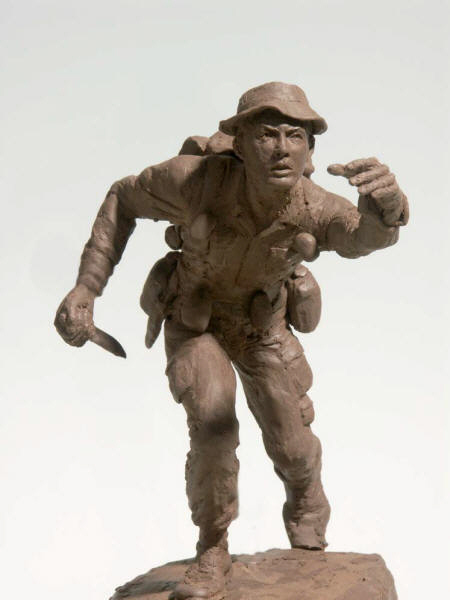 Lloyd "Frenchy" Mousseau was a member of the SOG recon team that Roy Benavidez rescued to earn his Medal of Honor. Frenchy is depicted here springing to silently kill an enemy soldier who has just discovered his small team's hidden position. Unfortunately shots were fired in the exchange and from that moment the vastly superior enemy force knew where the team in the area - they were "compromised". In the ensuing action, in which the team of three Americans and 9 indigenious and Vietnamese soldiers was surrounded by several hundred NVA soldiers Mousseau was severly wounded. 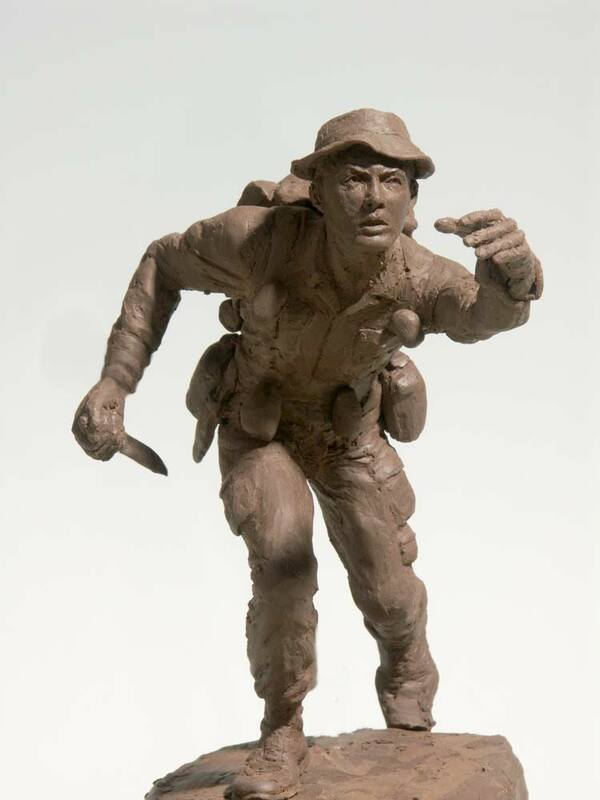 He was rescued by Roy Benavidez who carried him to the waiting helicopter under enemy fire. Unfortunately Mousseau died just before arriving at the Saigon hospital. Please bookmark our address if you wish to return.